Black Culture In The Caribbean! 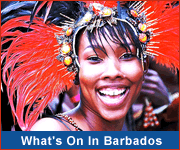 A Caribbean vacation to Barbados is an ideal opportunity to gain an appreciation of black culture and heritage. Trace the roots of a proud and determined people, a nation of predominantly black African heritage, a people who have risen above the past and have taken their place as leaders in a prosperous, well governed and racially integrated island state. The Freedom Footprints tour relates the Barbados journey from slavery to freedom. 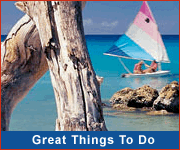 Click for more info, rates & bookings. Speedy booking and reserved spots.